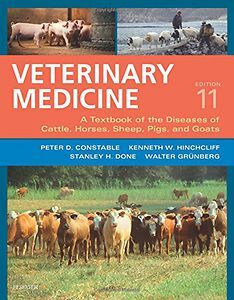 Treat the diseases affecting large animals!Veterinary Medicine, 11th Edition provides up-to-date information on the diseases of horses, cattle, sheep, goats, and pigs. Comprehensive coverage includes the principles of clinical examination and making a diagnosis, along with specific therapy recommendations. For easier use, this edition has been divided into two volumes and restructured into a logical, anatomically based approach to disease. 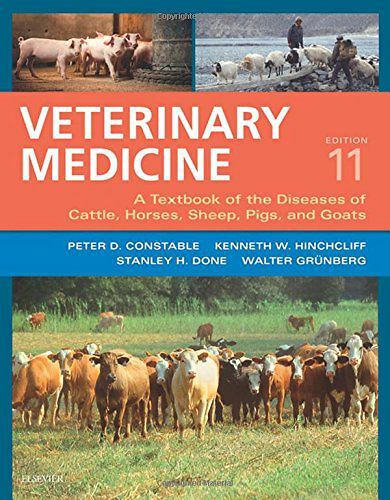 From internationally known veterinary experts Peter Constable, Kenneth Hinchcliff, Stanley Done, and Walter Grünberg, this book is the definitive, one-stop reference for farm animal and equine care.